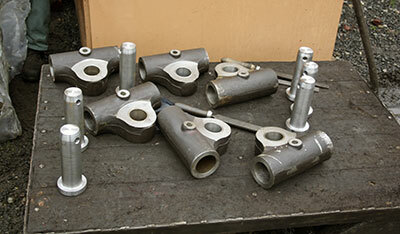 Work is underway on machining the horn faces on the axleboxes in preparation for welding on the manganese liners. With the ultimate goal of wheeling the chassis in due course work has been progressing on the machining of the spring hangers and associated pins as can be seen in the accompanying photo. Work also continues on the expansion link brackets. The chimney, petticoat and ejector exhaust ring have all gone away for machining. All three items relate to each other so it is important that they are machined together. Two new Wakefield mechanical lubricators have been manufactured for 82045. We are grateful to the Mid Hants Railway for the castings and to West Somerset Restoration for machining. Events this month have been overshadowed by the sudden death of Paul Anderson who in recent years has been Chris Proudfoot’s assistant with publicity. Paul had been a fireman at Nine Elms depot in the early 1960s and worked on the BR Standard class 3 tank locos which he liked very much. He left Nine Elms in 1966 and joined the full time staff at the Ffestiniog Railway where he met Tony Massau who was already employed there. 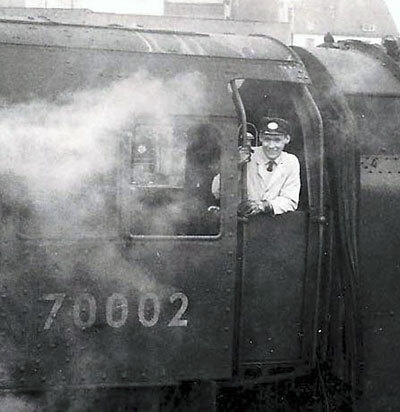 He had a mischievous sense of humour which made him a popular character on the FR where he worked on the permanent way during the winter months and as fireman during the operating season. After a few years he moved on and took up a career on the buses as driver and driving instructor. In later years he had a lorry for a time which was put to good use transporting materials around the various heritage railways. He was particularly well known and liked at Swanage amongst the Southern Locomotives team. Once Paul became aware of the project to build the next BR Standard class 3 tank locomotive No. 82045 he was very enthusiastic and spent many happy hours at Severn Valley Railway galas boosting interest in the new loco to the visitors. Our condolences go to his partner Joanne and son Jacob. Machined spring hangers and pins. Photo: Tony Massau. 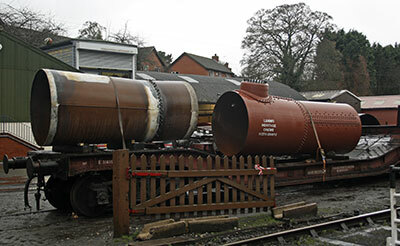 82045’s new boiler barrel on a wagon outside Bridgnorth Boilershop together with 75069’s new boiler barrel. Photo: Tony Massau.